Clean & cozy! Reception was very helpful about local area. Our space was very roomy and very quaintly appointed. Easy check and instructions. If ever in the area again I would use this property again. Where can I find hotels in Lake St. Peter that are near tourist attractions? Considering there is just 1 accommodation option within a 0.1-kilometre (0.06-mile) radius of central Lake St. Peter, consider securing your room well before your departure date. 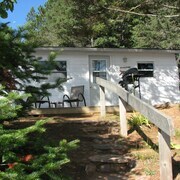 The White Pine Cottages on Lake St. Peter is a sought-after accommodation choice because it's so close to Lake St. Peter's town center. 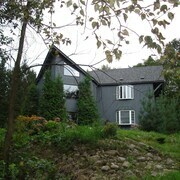 13 kilometres (8 miles) from downtown Lake St. Peter, is the Algonquin Eco-Lodge. The Sword Motor Inn is positioned 30 kilometres (19 miles) away. The Spectacle Lake Lodge and also the Algonquin's Edge Resort are two other options around Lake St. Peter. 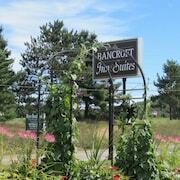 The larger Ottawa - Southeastern Ontario area is certainly worth exploring as well. Ottawa - Southeastern Ontario boasts forests, rivers, streams and lakes, and commonly visited Ottawa - Southeastern Ontario sights include old towns, art museums and nature museums. In this section of Canada tourists can also partake in cross-country skiing, snow shoeing and snowmobiling. Looking for more things to do? Why not spend a few hours exploring Deep River Golf Club and The Canadian Clock Museum, which you'll find in Deep River, 95 kilometres (60 miles) to the northeast of Lake St. Peter. 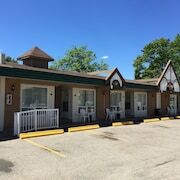 Expedia-listed Deep River hotels and accommodations include the Shemron Suites Hotel and Deep River Motel. 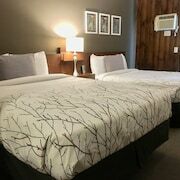 90 kilometres (57 miles) to the northeast of Lake St. Peter, you'll find Pembroke, home to the Holiday Inn Express Pembroke and Comfort Inn Pembroke. The Champlain Trail Museum and Pioneer Village and Pembroke Hydro Museum are just a couple of the more popular attractions to experience when you're in Pembroke. Jack Garland Airport is a convenient airport, and can be found 160 kilometres (99 miles) from Lake St. Peter. Expedia-listed hotels close to Jack Garland Airport include Hampton Inn by Hilton North Bay and Comfort Inn Airport. What are the most popular Lake St. Peter hotels? Are there hotels in other cities near Lake St. Peter? What other types of accommodations are available in Lake St. Peter? 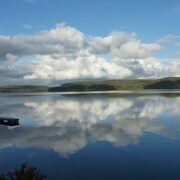 Explore Lake St. Peter with Expedia.ca’s Travel Guides to find the best flights, cars, holiday packages and more! Flights from Victoria Intl. to Norman Y. Mineta San Jose Intl. Flights from Regina Intl. to Abbotsford Intl.